“Kootenay Mix” which contains: Douglas-fir, subalpine fir, Engelmann spruce, western hemlock, western larch, western red cedar, lodgepole pine, white pine, birch, aspen and cottonwood trees. Alpine Larch, whitebark pine may mix with Engelmann spruce and subalpine fir in the alpine tundra. Harvest planning on the complex and rugged landscape requires thoughtful and respectful stewardship balancing biodiversity, cultural values and economics within the laws and regulations of the tenure. Steep slopes and sensitive soils predominantly demand the use of expensive cable systems. Log transport requires highly skilled operators on steep and windy mountain roads, especially during winter harvest. The zones delineate elevation bands with markedly different climate, affecting vegetation, soils and nutrient cycling and are named for their characteristic old growth tree species: the Interior western Cedar – western Hemlock zone (ICH) extends from the lakeshore to mid-slope elevation and transitions into the Engleman Spruce – Subalpine Fir (ESSF) zone, which extends up to the Alpine Tundra above. The license operates under a Forest Stewardship Plan (FSP), an operational level plan with landscape level objectives. It defines strategies to conserve and protect timber and other natural resource values while undertaking forest activities. The FSP contains requirements for the notification of the public, First Nations, and government agencies where primary forest activities will be taking place and provides a process to identify areas of concerns prior to field work. It also states the results, strategies or measures that the forest licensee will achieve in order to be compliant with government objectives for forest values. Eleven forest values identified by government are: soil, timber, wildlife, fish, water, biodiversity, cultural heritage resources, resource features, recreation resources, visual quality, forage and associated plant communities. Hemlock prices have softened during the winter, which rendered the timber sale we had permitted on Cooper Face uneconomical for harvest this year. 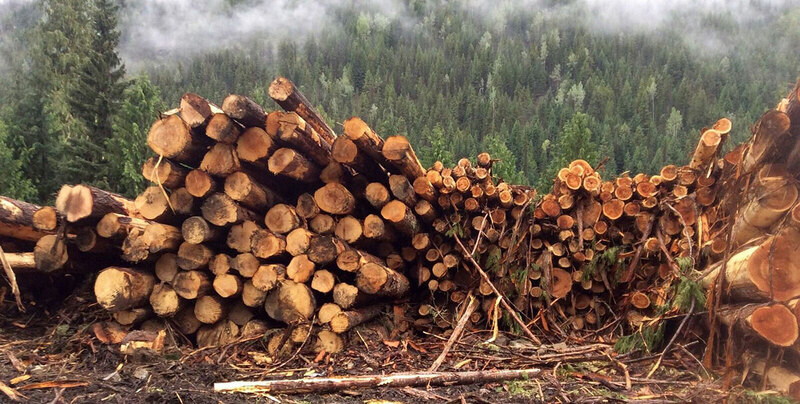 We will develop and permit several small Spruce leading blocks in the same area by May 2019 and have an agreement with Sunshine Logging from Kaslo in place to harvest roughly 14,500 m3 of conventional wood during the summer months. We will also develop and permit a cable cutting permit in the Nashton area behind the Kaslo landfill as a 2019 fall-back option or a future opportunity for 2021.